Hi everyone! Welcome to my blog! 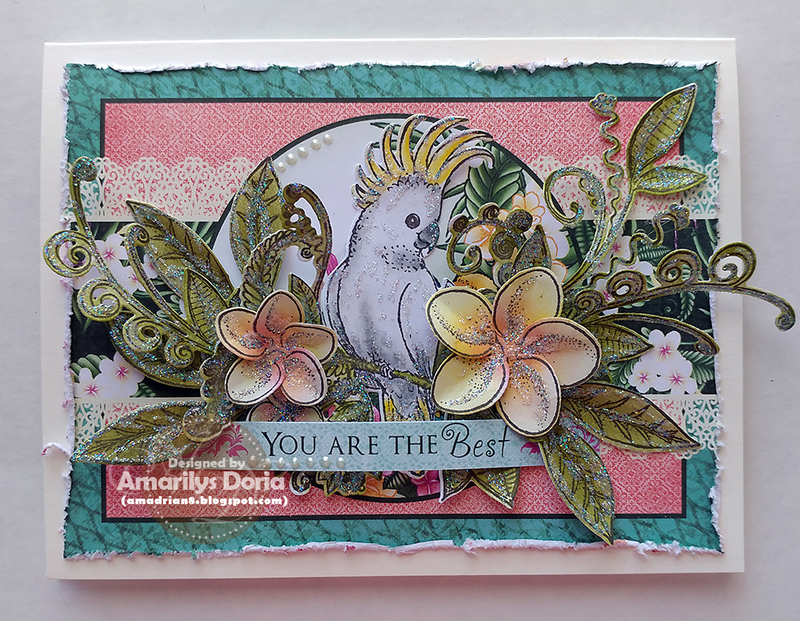 I have a card to share with you today that I made for Heartfelt Creations using their newest Tropical Paradise Collection! Trim and distress the edges of a 4" x 5.25" pre-printed card-front and adhere unto a 5.5" x 4.25" cream colored card base. Stamp the cockatoo from the Tropical Cockatoo Cling Stamp Set and color using Prismacolor Pencils and blend with Odorless Mineral Spirits. Stamp a few flowers from the Tropical Plumeria Cling Stamp Set and some greenery from the Tropical Paradise Cling Stamp Set. Color using the inks and die cut using their coordinating dies. Add glitter to all the elements and set aside to dry. Once they dry, add the bird, flowers and greenery to the card-front as shown. 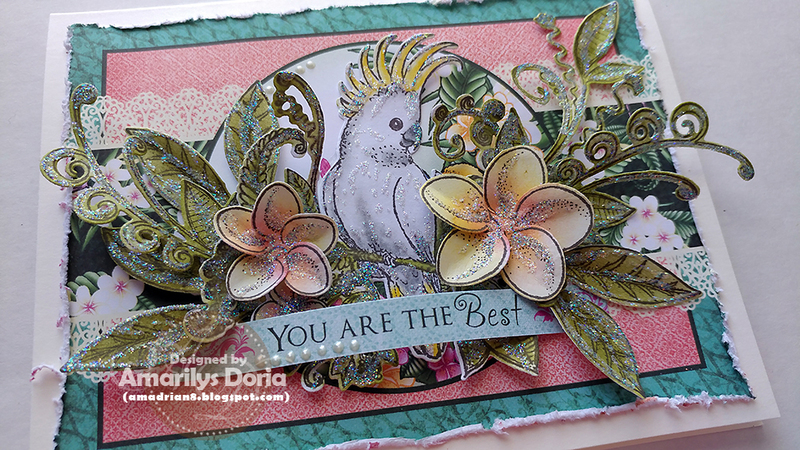 Trim and add a sentiment right under the cockatoo and add some liquid pearl drops to the title and circle behind the bird. Oh...this is so pretty Amarilys!